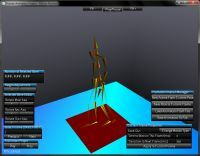 This project's goal is to achieve interchangable human model animation based on skeleton animation. The project is part of a larger goal, namely a complete game. Additional details are available on the information page, where you can also find information about contributing, if you're interested. 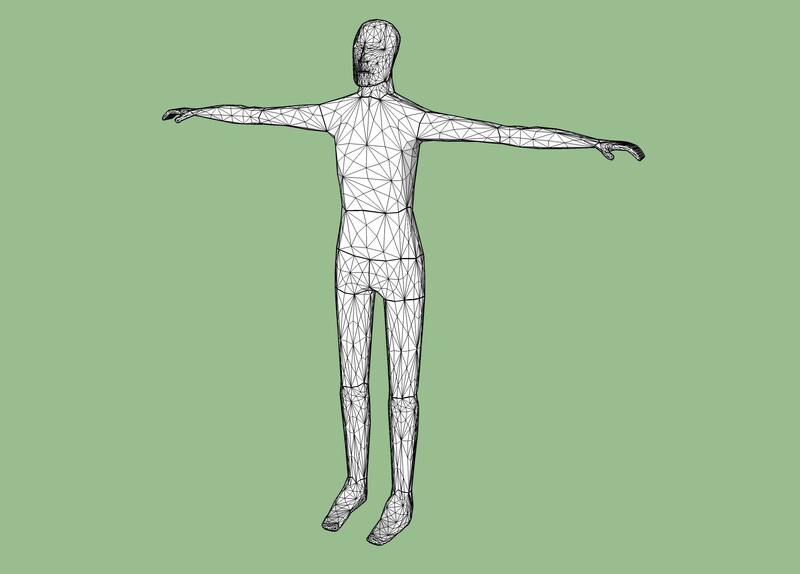 Update: I'm pretty happy with the way the automatic vertex-bone association worked out. The algorithm requires some information about bone connectivity, and can be adopted for most other skeletons. I also used Catmull-Clark subdivision on my old low-polygon model. The results were somewhat surprisingly good. The new model has ~5000 faces, with around 3000 indexed vertecies. Besides being a decent resolution model, it also ran surprisingly well in animation, getting over 600fps. Note that FPS isn't the best measure of how good an algorithm is, but given that, I have plenty of time each update to work with for drawing other things, like terrain. I've been working on an automatic way to animate a model. This is a video of a partially complete algorithm in action. The Code for this will also be published, as soon as it's "comeplete". However, since this part of the project doesn't actually build or create anything from user input, the code is just going to be integrated straight into the next project part. 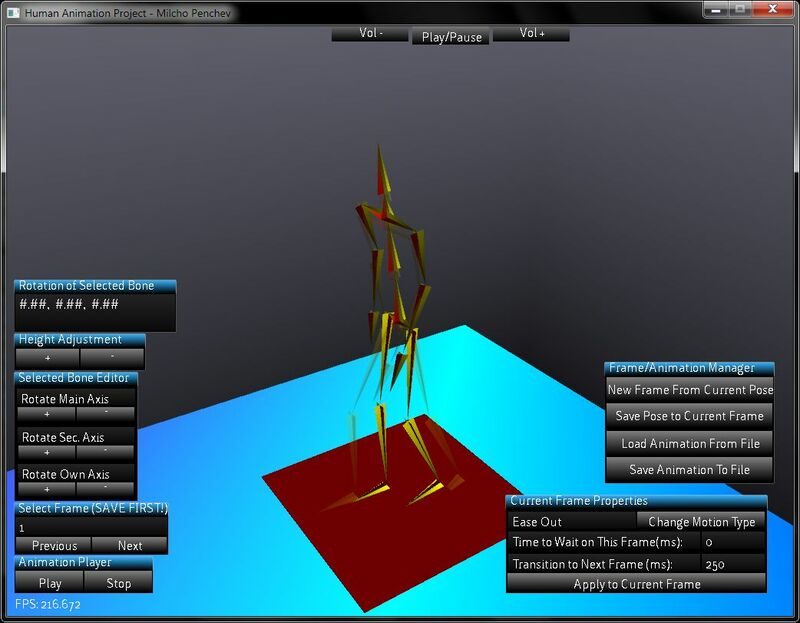 The animation creator, that allows a user to animate a skeleton.